I haven’t exercised in years, can I do this? We have learned many things from our Triathlon Team since establishing the team in 1999. One of the things we have learned is that we can be most successful with women who have the following basic skills and qualities before they commit to our class. And we want you all to be successful! If you can answer yes to the following questions we welcome you aboard. If you are struggling with one of the questions think about taking a winter class, hiring a personal trainer, or starting your own “pre-tri” training plan BEFORE the program begins. 1. I can swim 2 lengths of the Hot Springs Pool with a short rest at each end and with continuous breathing. 2. I can run or walk or run/walk a mile in 21 minutes or less. 3. I can ride a bicycle for 3-5 miles without assistance. 4. I can devote a minimum of three workouts a week for one hour each workout to train. 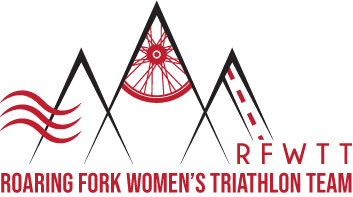 This can include my twice a week training classes with the Roaring Fork Tri Team. 6. If I need individual or special assistance to help me swim, bike, or run/walk, I can provide for a training buddy to workout with me during class. 7. I have a positive attitude and like to challenge myself to try new and different things. 8. I enjoy training in groups and I have the patience and appreciation for the ups and downs of “group” work. I am a team player! 9. I have a working email and can check it every Tuesday evening! I am intimidated to join a triathlon team– everyone is fitter and faster than me? We highly suggest you come to our first Question and Answer Orientation Meeting held in the spring prior to the beginning of our season. You will meet women from never-evers, to beginners, to advanced, from tall to short, from small to large, from gregarious to shy. You will have a chance to ask that question in person and receive some comforting answers. It’s normal to have fear–after all this is a new, challenging, and frightening experience for many first timers. Yet it will also be one of the most rewarding of your life as you learn to manage your fears and reach dreams you never thought possible. WARNING: The registration may close BEFORE this meeting so let us know if you would like us to connect you with some “alumni” to answer your immediate concerns. We don’t want you to be disappointed if we close registration. Do I have to do the Diva Triathlon in Longmont to be part of the Team? 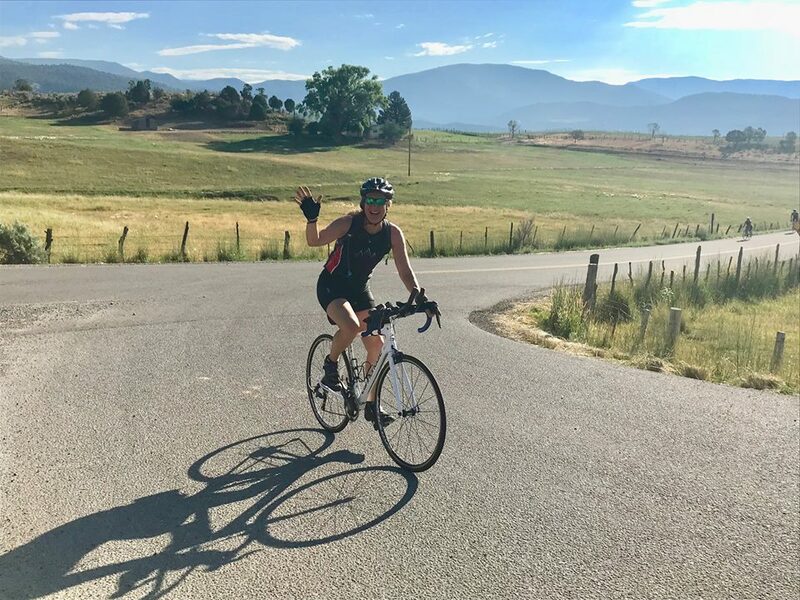 Many women start out the Roaring Fork Women’s Triathlon Team summer program wanting to get in shape and have fun without the intention of completing the Diva Triathlon. That is just fine with us. However, our experience has shown us that having a race goal is a great way to stay focused and in shape. We often find that by the end of the summer many of the women have changed their minds and decide to travel with us to the event. After all, who wants to miss a girl’s weekend in Longmont! But it’s your choice and we will honor your decision. I’ve already done a couple of triathlons, is this training still for me? 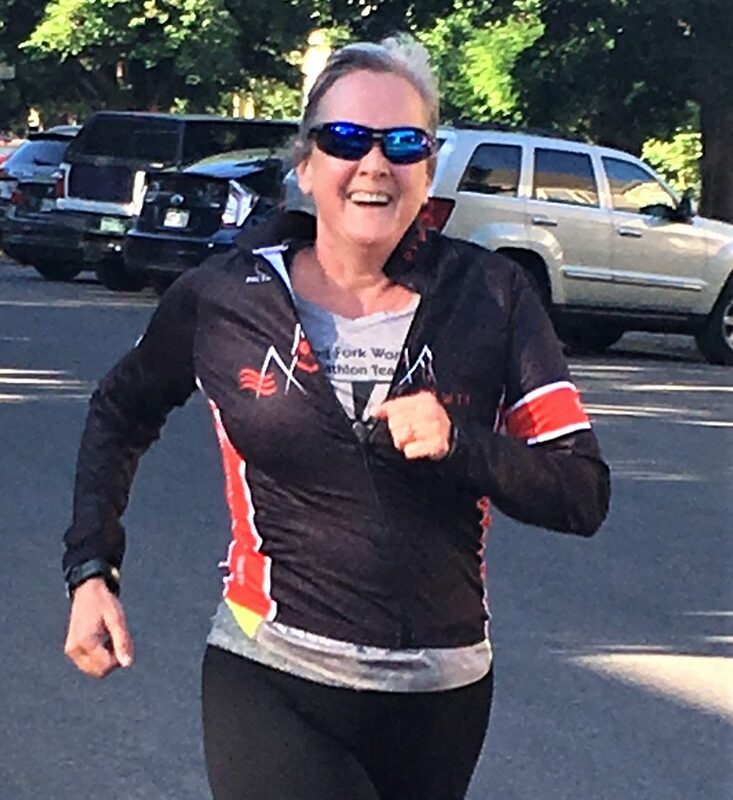 Many of our athletes are “repeaters” and continue to join our training group year after year long after they’ve completed their first triathlon. They enjoy the set training times, the end of the season goal, and the camaraderie that comes with being part of the Team. We set the agenda, but you set your own pace. Our coaching assistants are skilled at assisting women with different abilities from beginning to experts. That being said, we like to remind folks that our primary focus is on Triathlon 101–the basics. If you completed the Ironman last year, you may find our training on the light side. But if you are looking for a supportive environment to enhance your own training schedule, we can help you meet your goals. What does my registration fee cover? What other expenses will I have? What is NOT included? Most of the women in the group will tell you your registration fee will be one of the best investments in your health you have ever made. Your fees cover our two times a week classes. Each Wednesday class includes a lecture, workout, and hand-out. Each Saturday or Monday evening class includes swimming instruction and a workout. In addition, your fees cover a member folder, weekly homework hand-outs, a team tote bag, our cost for room rental, pool rental for swimming, our insurance and liability coverage, coaches and assistant salaries, and email and coach time as needed. We have 13 weeks of classes two times a week with several evening specialty classes such as a tire changing clinic and advanced transition clinic. At over 30 classes a summer it works out to be about $12 a class. We have some stipends available from our new scholarship/team fund that can help women in need. Just let us know. We want you to know that your fee DOES NOT cover the cost of a swim pass at the Hot Springs Pool nor at the Community Center Pool. You will need this for swim practice outside of class. 2. Race Entry Fees: Diva Triathlon: There will be discount codes available through the season. Some scholarship money available. 3. Lodging in Longmont for the Diva Triathlon Weekend: $99 split between two people if desired. 6. Swim suit, goggles, bike, helmet, run/walk shoes. Cost dependent on where you shop. Can I just sign up for the Saturday swim training? Or just the Wednesday training? No. We offer only the “total package” of both Wednesday and Saturday training. In the course of the summer we develop a well-trained and bonded team. This is only made possible by consistent attendance two days a week. Of course, everyone misses a couple of classes or takes a vacation during the summer. I am afraid of the water. In particular, I am afraid of the open water. Do I have to do it? Many women are fearful of swimming and of open water swimming and we understand that. Our swim coaches are some of the best in the valley and will take you through a graduated swim training program that will help alleviate your fears. However, we are not a “teach you to swim” program. If you need a head start on swim lessons we recommend you join a spring swim class at the Hot Springs Pool or the Community Center Pool. We start the season in the swimming pool and midway through the summer we begin training at Harvey Gap in Rifle, CO. We practice with rental wetsuits as well. You will have plenty of opportunities to get comfortable in the water. And of course, it’s all your choice. If you don’t like it you don’t have to do it. 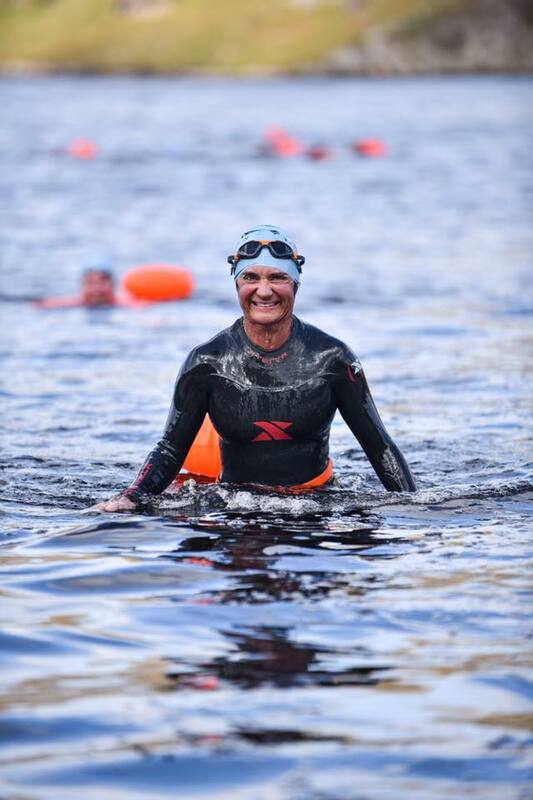 When we go to Longmont for the Diva Triathlon, we often have a few women who want to wait a year before they do the open water swim in Union Reservoir. We’ll help you with that decision every step of the way. You must have a functioning bike and a helmet to participate in the training. Many women train and complete their first year using a mountain bike with “fat tires”. We have found, however, that by the second year, most women want to get a road bike with “skinny tires” as a way to go faster with less energy. You can purchase a bike at Sunlight Sports, Basalt Bike and Ski, Ute City Cycles, and the used Gear Shop. In addition, you can often pick up a used bike from a team member or by checking the want ads or posting on our Facebook page. I can’t run, can I still be on the Team? Yes. Many of the women do not run for one reason or another. We have a special assistant coach who teaches the art of fitness walking! In addition, our running program is based on a run and walk and run method. Both walkers and runners are welcome on our team. What if I start the class and need to drop-out for one reason or another? We do not give refunds, but depending on the circumstances, and when you drop-out, we can roll part of your fee over until the next year. This is always tricky for us. If we take your registration and turn someone else away as a result, and then you decide to drop out, we have lost you in the process (of which we are sad!) and have turned away an interested participant as well. How old do you have to be to be on the Team? You must be 18 years or older to be on the Team. On the upper limit the only criteria we have for age–is that you be young at heart! Our Team members range from 18-73…the majority are 40-60.